So remember how I have this rare disorder where I pass out and have seizures if I laugh too hard? You should, it's hilarious and true. Well, it hasn't been an issue for several years. I've learned to recognize the signs of an oncoming fit and avoid them. 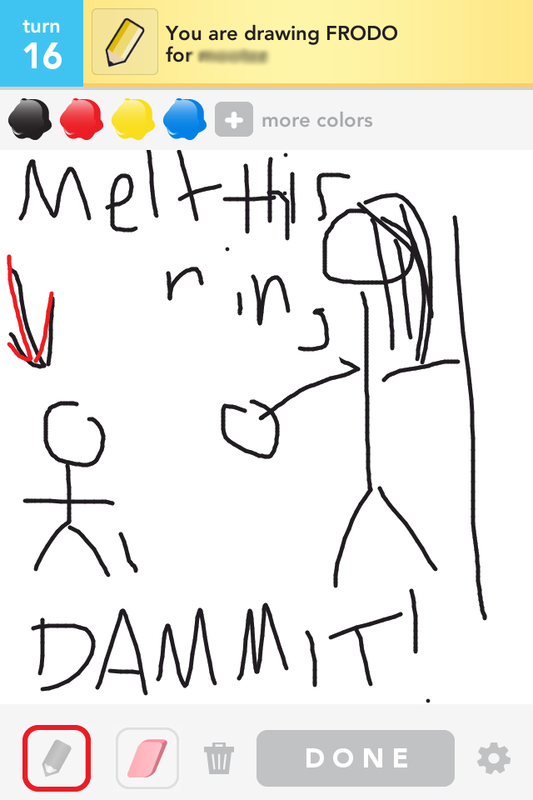 You see, I have recently become acquainted with a game called Draw Something. You are given a choice of three words. You draw one of those words. The other person tries to guess what it is that you have drawn and selects the word out of a pool of 12 letters. 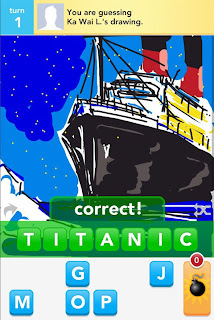 Now, some people's first instinct is to draw things as photo-realistic as possible. There are some truly amazing artists out there. It's worth a Google search. Me on the other hand, I like to draw as simply and poorly as possible and see if people still get it. To my continual pleasure, they do. I would love to read a paper about how complex ideas can be communicated through simple images. 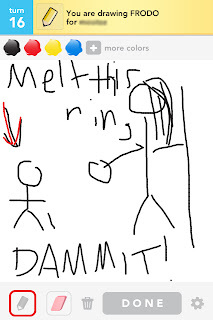 I have also found that the more ludicrous the images I draw are, the more amused I am when someone actually guesses it. I sent my friend an image that looked suspiciously like a pitch black phallus with a red tooth pick and he immediately and correctly guessed that it was meant to represent Darth Vader. Well, as it turns out, this was enough to trigger my seizures. As it turns out, it is awkward to explain to your teacher that you were late to class due to seizures brought about by a cartoonish Darth Wiener. 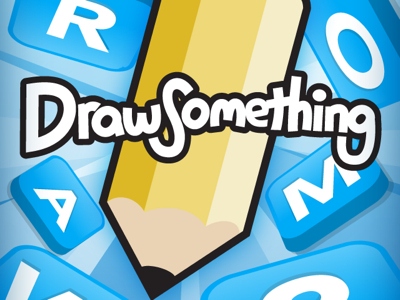 Have you played this? Do you know the joy? Share your experiences with me. LOL! I love the size ratio of the One Ring to Gandalf. ;) And yay for all things Frodo! Have you seen my LJP posts on costume plans for "The Hobbit" movie? 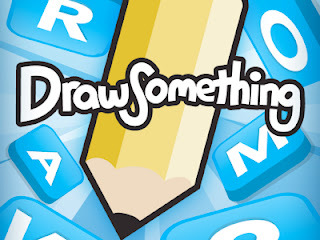 omg, i love this post and will google draw something as soon as I am done with this comment! And, I really want to play the game. I found you on the A to Z challenge and look forward to reading more! Jenny - I have seen that post. Delightful! Mary - Stick figures are surprisingly diverse. Hilary - Thanks! I look forward to seeing you around. Wendy - I am surprised at your stick-sexism.